My dear Jane just got back from an adventure in western Mass., and she brought back some of the most succulent pears I've ever tasted. Decision - cut them up and throw them into the morning mix of our cranberry oatmeal. The result - bliss. The cool, crisp, sweet, yet soft pears complemented the texture and of the oats and the chewiness of the cranberries. We used the pears fresh, but we're already thinking about the possibilities of stewed pear oatmeal in the style of apple chunk porridge. Special cross-post courtesy from Peter Hocking's food blog. "I’ve recently started to eat oat bran for breakfast. Mike introduced it to me. It was good, so I started to make it myself. At first I didn’t think much about it—it’s just oatmeal, right?—but after checking into it’s nutritional value, I’m pretty amused. It's that time of year... Almost all the good apples have been picked from the orchards, and we're left with the task of turning those unchosen apples into cider to warm us on our way through winter. In our house, we make my mom's special recipe (see below). She uses fresh orange juice and lemon juice to give a bit of bite to the winter warmer tradition. A few nights ago, I made a little more mulled cider than I meant to. At the end of the evening, I put the top back on the pot, went to bed, and thought nothing more of it. 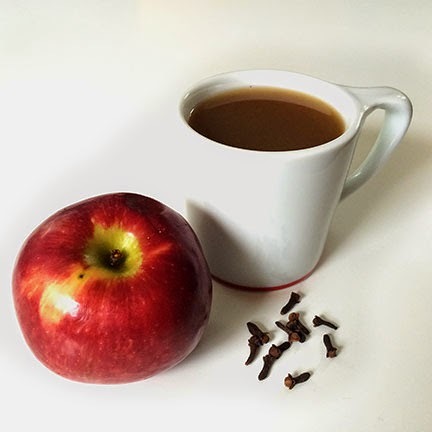 In the morning, I woke up to the smell of cloves and cinnamon and apples from the night before, and inspiration struck. What if we used the cider to make oatmeal rather than water. The result was a bowl full of autumnal joy. To do it yourself, all you do is substitute mulled cider for the liquid you use to make your oat porridge - the water or the milk (whatever you normally use). Soak/heat/cook as you would normally. We add cranberries to ours and have found that it rounds out the tastes of fall nicely. If you'd like to make my mom's mulled cider to try it yourself, the recipe is below. This is the cider my mom always made when I was home on break in the Fall and Winter. Many meaningful moments happened around the pot as the cider mulled - plans were hatched, counsel was given, and adventures were schemed. Empty apple cider and orange juice into a large pot (or crock pot if available). Squeeze juice from lemon into the mix. Pierce the surface of the apple and the orange with whole cloves - pressing them into the skin so that only the top of the clove can be seen. Add "cloved" apple and orange to the pot. Add all spices and cinnamon sticks. Put on low heat for 30min (or so). Leave the top off so the smell wafts though the house. 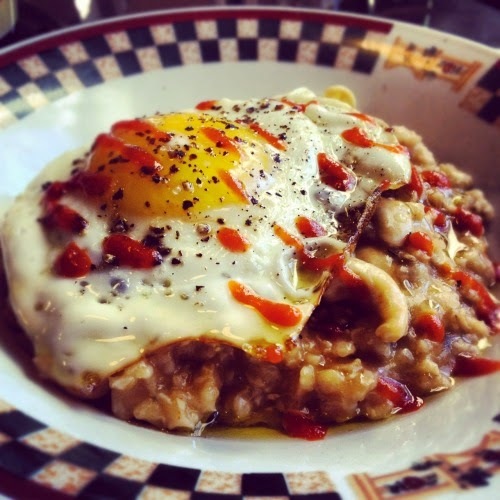 Special feature from The Sriracha Cookbook! In a small saucepan set over a medium heat, combine the oats, water, cashews, Liquid Aminos (or soy sauce), Sriracha, rosemary, and garlic. Bring it to a boil, cover, and lower the heat to maintain a gentle simmer. Cook, stirring occasionally, until most of the liquid is absorbed and the oats are cooked through, about 5 minutes. While the oats are cooking, heat the olive oil in a medium saucepan over a medium heat. Once the oil is hot, crack in the eggs. Sprinkle with salt and pepper. Cook the eggs to your desired consistency, though sunny side up is my preference so the yolk can ooze all over your oatmeal. For sunny side up, cook the egg (without flipping) until the whites are set and the yolk is still jiggly, about 2 to 3 minutes. At Romancing the Bean in Burbank, CA, I just happened upon a lovely treat. Breakfast porridge with blueberries and thyme. The thyme adds an unexpectedly refreshing and crisp herbal dimension to a breakfast classic - oats and blueberries. Enjoy! 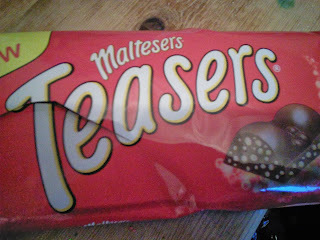 I was looking at this blog this morning trying to decide what to put in my porridge, since it was Christmas only a few days ago I had a lot of chocolate left and thought I'd try a bit of a Maltesers Teasers bar in my porridge today! The tiny pieces of maltesers went soft on the outside but stayed crunchy on the inside and the whole thing was chocolatey and malty and just oh so comforting! However it did get a bit too sickly towards the last few mouthfuls, but it was worth it! Add 40 g of oats to a microwavable bowl and then add two egg whites to the bowl. Next add 100ml water and 100ml milk to the bowl and mix together, the oats should be covered in the mixture. Cook in the microwave on 50% power for 2 minutes and then after the 2 minutes add a teaspoon of dried ginger and put back in the microwave for another minute on 50% power. Stir and add back into the microwave for another 60 seconds, again on 50% heat. Then then the porridge is done - dependant on whether you want it thick or not - add fruits of your choice. Blurberries are a must as they're super tasty, but dried fruits work well too; cranberries, raisins etc. The fibre from the oats and blueberries will keep you feeling full all morning and the protein in egg whites which keep hunger at bay until well into lunch time. HEALTHY Porridge w/ LSA, Honey and Cinnamon !! Store bought LSA (ground linseed,sunflower seed and almonds), a tsp of honey and a few dashes of cinnamon to taste ! Healthy and sooooo GOOD !!!! 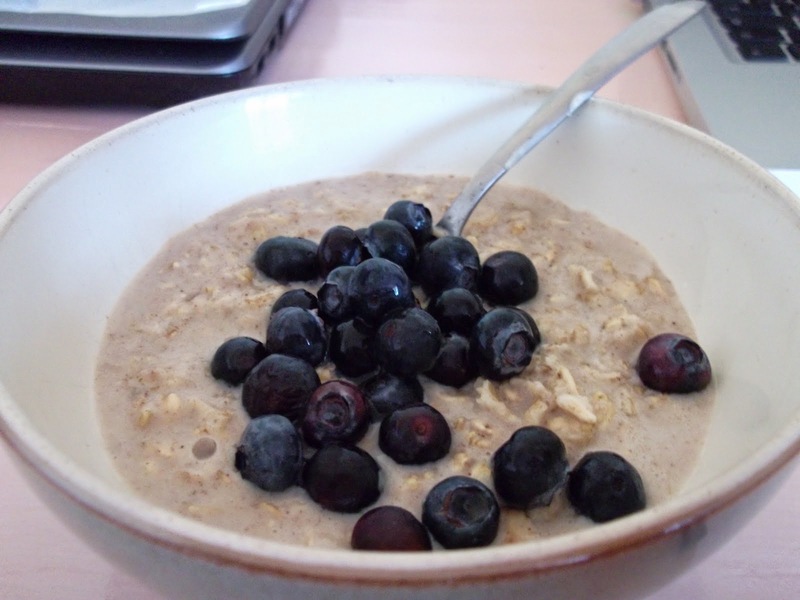 I also add a little bit of oat bran to give it a little more of a healthy boost and keeps you fuller for longer ! This is a traditional Japanese breakfast demi-porridge. 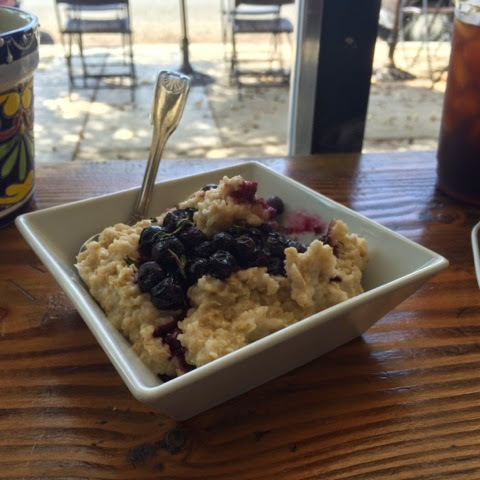 Unlike a regular porridge, you don't cook it to draw the starches out. 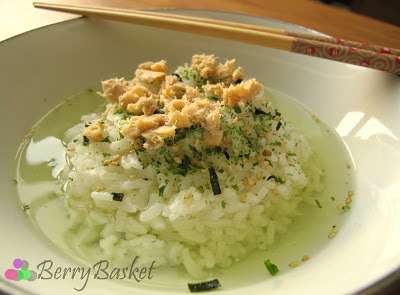 Start with some cold, leftover rice in a bowl. Boil a pot of water, and then brew some genmai-cha -- this is an inexpensive green tea flavored with toasted brown rice. Pour the hot tea over the rice. Add salt. If you have it, you can add a salted pickled plum (umeboshi). Also popular is some salmon flakes. Stir it up and eat. There are also some expensive packets to make this "instantly". I think the instant stuff is inferior to using brewed tea. I eat mine very simple and plain. I cook it in Bain Marie kind of pot for 50 minutes. Then I put my porridge in a bowl and add sugar and then it's resdy. Today though I've tried it with cinnamon after reading this webside and it was gorgeous too! Came up with this idea to simplify microwave porridge. I've finally gotten around to making a small production run of 50. Take a look, and if you buy one, please send some feedback. 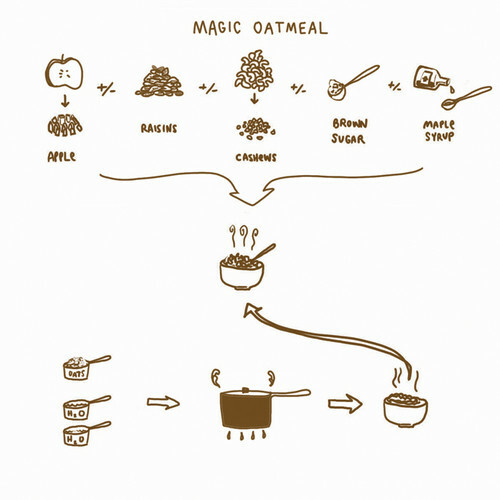 A visual recipe guide to make some delicious oatmeal that includes dried fruits, nuts and maple syrup. We all know that porridge is healthy, but as is often the case with healthy stuff, it can get a bit boring. Luckily porridge is also a good base for other flavours, so try out this slightly tropicaaaaal version. I’ve used ‘mugs’ as a measurement as I can’t really be bothered to be precise in the morning. And use coconut chips as opposed to dessicated if you can. This quantity will serve 2. Put the oats, water and 3/4 of the milk into a saucepan and bring gently up to simmering point. Let the mixture simmer gently for 5 minutes, stirring occasionally, before adding the coconut chips. Simmer for a further 5 minutes, again stirring occasionally. Chop up the apple whilst this is going on. After this time, the mixture will be pretty thick and sticky. Let it down by adding the remaining milk and some maple syrup to taste (maple is very sweet, so you don’t need that much), and remove from the heat. Mix in the dried fruit, and the divide into two bowls. Scatter the apple cubes on top, and then eat. Hi - just wanting to know if you soak your seeds overnight like I do with my oats or do they just go in when cooking? I'm soaking my dried fruit overnight and nuts but wasn't sure about seeds. At the risk of being non-commital, it depends on the seeds really. It also depends on your personal taste. I prefer to have a course texture that cuts through the mushier porridge texture, so I don't soak seeds myself. 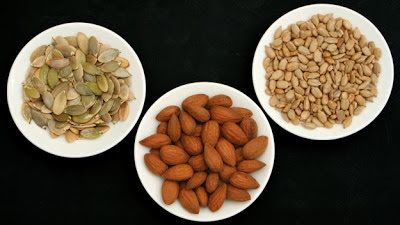 But some argue that soaking seeds and nuts helps with nutrient absorption (see here). So if it's health you're after, then soaking may be the best bet, but if it's taste, texture, then to each her own. I will say though that dried goji berries are definitely best if soaked - both for taste, texture and for nutrient absorption. Thanks for writing and reading! Mark Bittmanon food and all things related. There’s a feeling of inevitability in writing about McDonald’s latest offering, their “bowl full of wholesome” — also known as oatmeal. The leading fast-food multinational, with sales over $16.5 billion a year (just under the GDP of Afghanistan), represents a great deal of what is wrong with American food today. From a marketing perspective, they can do almost nothing wrong; from a nutritional perspective, they can do almost nothing right, as the oatmeal fiasco demonstrates. The oatmeal and McDonald’s story broke late last year, when Mickey D’s, in its ongoing effort to tell us that it’s offering “a selection of balanced choices” (and to keep in step with arch-rival Starbucks) began to sell the cereal. 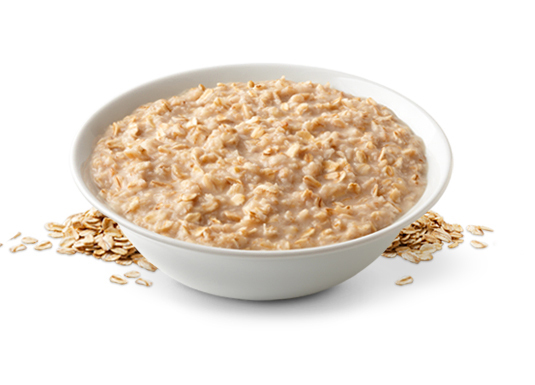 Yet in typical McDonald’s fashion, the company is doing everything it can to turn oatmeal into yet another bad choice. (Not only that, they’ve made it more expensive than a double-cheeseburger: $2.38 per serving in New York.) “Cream” (which contains seven ingredients, two of them actual dairy) is automatically added; brown sugar is ostensibly optional, but it’s also added routinely unless a customer specifically requests otherwise. There are also diced apples, dried cranberries and raisins, the least processed of the ingredients (even the oatmeal contains seven ingredients, including “natural flavor”). Since we know there are barely any rules governing promotion of foods, one might wonder how this compares to real oatmeal, besides being 10 times as expensive. Some will say that it tastes better, but that’s because they’re addicted to sickly sweet foods, which is what this bowlful of wholesome is. Others will argue that the McDonald’s version is more “convenient.” This is nonsense; in the time it takes to go into a McDonald’s, stand in line, order, wait, pay and leave, you could make oatmeal for four while taking your vitamins, brushing your teeth and half-unloading the dishwasher. (If you’re too busy to eat it before you leave the house, you could throw it in a container and microwave it at work. If you prefer so-called instant, flavored oatmeal, see this link, which will describe how to make your own). If you don’t want to bother with the stove at all, you could put some rolled oats (instant not necessary) in a glass or bowl, along with a teeny pinch of salt, sugar or maple syrup or honey, maybe some dried fruit. Add milk and let stand for a minute (or 10). Eat. Eat while you’re walking around getting dressed. And then talk to me about convenience. Oh, please. Here’s the thing: McDonald’s wants to get people in the store. Once a day, once a week, once a month, the more the better, of course, but routinely. And if you buy oatmeal, they’re o.k. with that. But they know that, once inside, you’ll probably opt for a sausage biscuit anyway. And you won’t be much worse off. 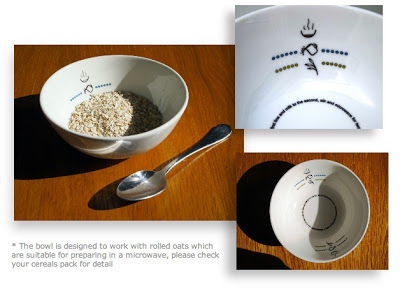 pimp my porridge is a place to share all the special ways we've adapted, innovated and reinvented the world's simplest dish. Designed adapted from "Cellar Heat" by EvanEckard.com and Smashing Magazine.